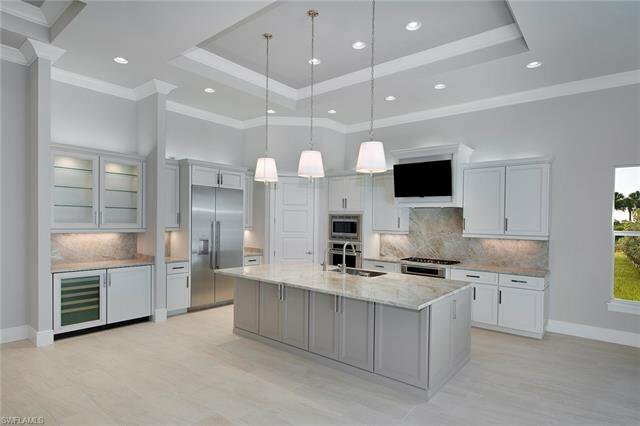 Luxury and sophistication define this new Villa Roma four-bedroom plus a den residence located in the renowned community of Marsh Cove in Fiddlers Creek. 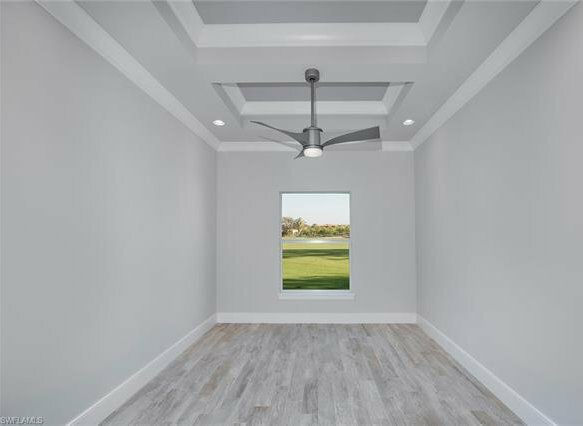 This home is perfectly positioned on the golf course near the 15th fairway of the Arthur Hills designed Creek Course. 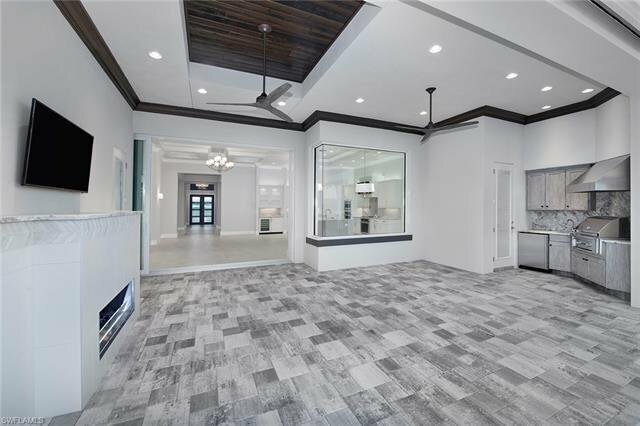 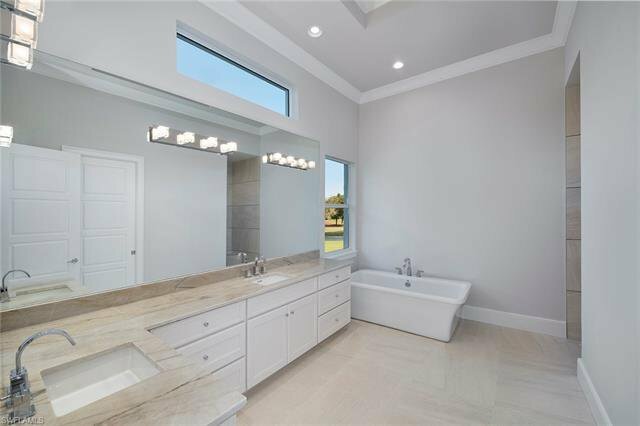 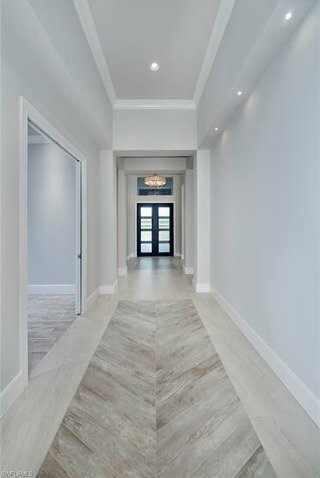 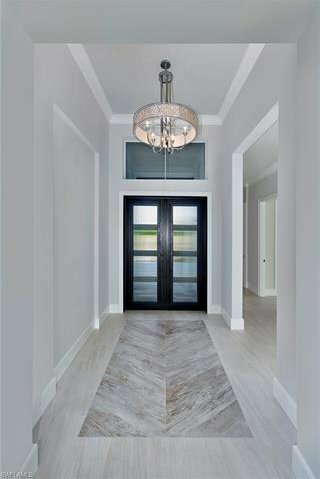 Designed by Harborside Custom Homes, the light and bright interior is detailed with tray ceilings, crown molding, gorgeous tile flooring throughout, wood-like tile flooring in the den, and granite countertops in the guest suites and laundry room. 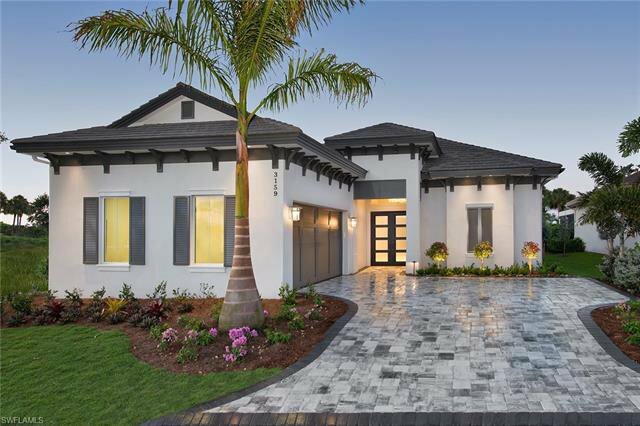 This home is equipped with insulated impact glass, shutters, security system and a two-car garage. 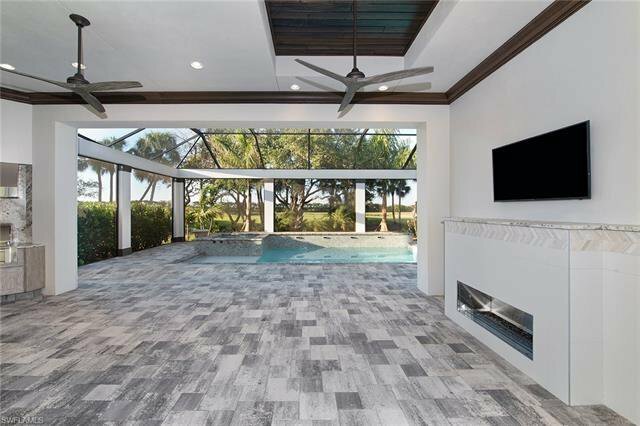 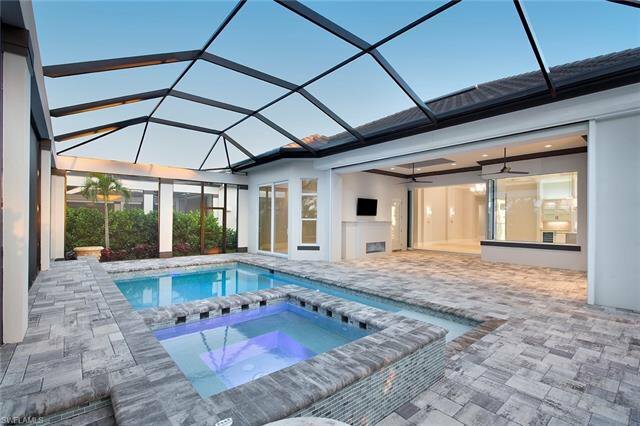 Entertain effortlessly on the spacious tiled lanai featuring a pool, spa, outdoor fireplace, wood detailing on the ceiling, an outdoor kitchen with a gas grill, refrigerator and granite countertops. 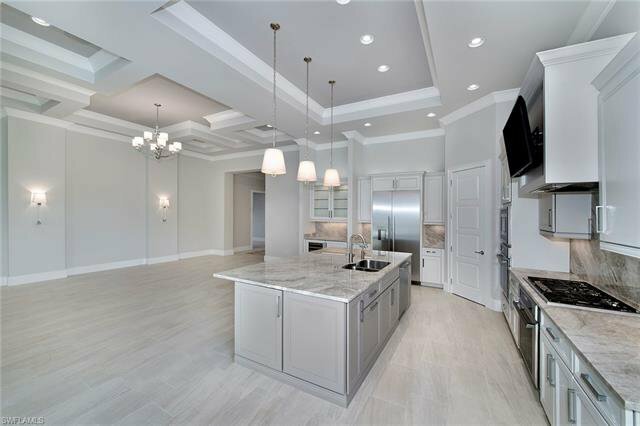 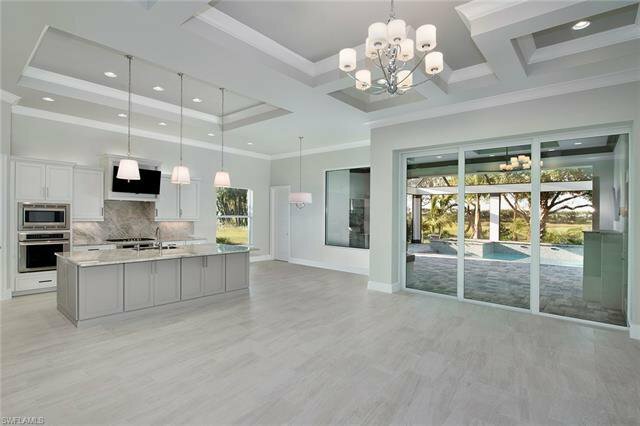 The gourmet kitchen is appointed with white cabinetry, quartz countertop and backsplash, an island, pantry, and Thermador stainless steel appliances including a gas cooktop, wall oven, wine refrigerator and microwave. 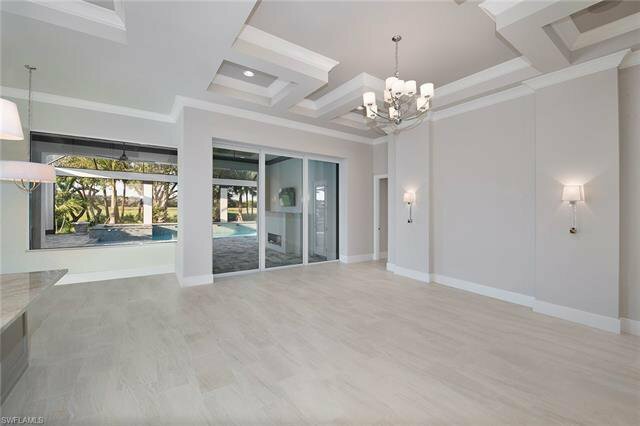 This new-age sophisticated home offers an optional golf, marina and beach membership.